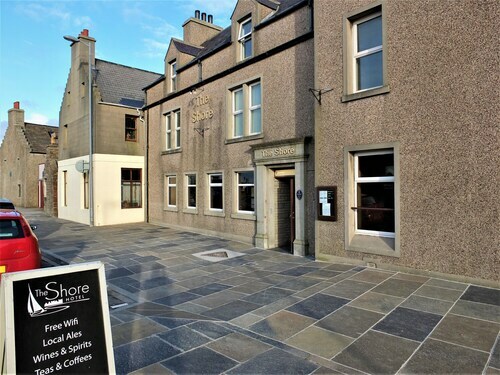 Great Hotel in centre of Kirkwall. Great evening food (no haggis on menu anymore and sometimes pipping hot) homemade lemoncello is lovely and nice cocktails. breakfast ok but with full Scottish haggis was dry. 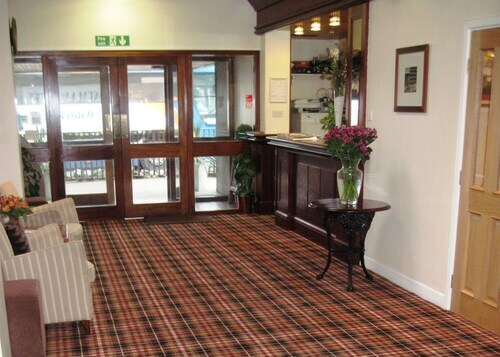 We make it easy to browse through a comprehensive list of hotels so you can find a suitable one in Orkney Islands. Our website rapidly provides the top hotels in the surrounding area so you can have an assortment of preferences to select from. Once you have some choices, we can help you refine them by providing you with easy-to-use tools. One helpful component of our website is our map, which offers you an easy way to find a specific area for your stay in Orkney Islands. You can also edit the filters and sort by area or popular location to identify a hotel near the region's local attractions. If you're hunting for hotels in a particular price range, you can filter by price per night to find affordable accommodation that is budget-friendly. 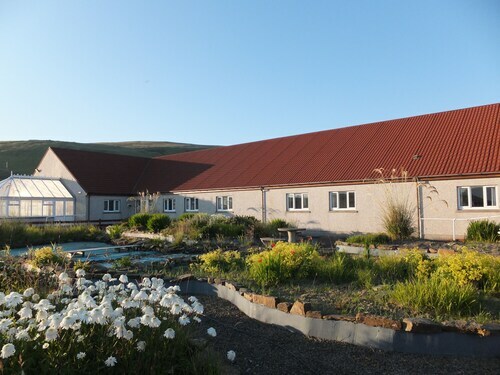 If you're looking for certain facilities and services such as free breakfast or a spa, you might choose to adjust your search so you have all the essentials to make for the perfect visit to Orkney Islands. 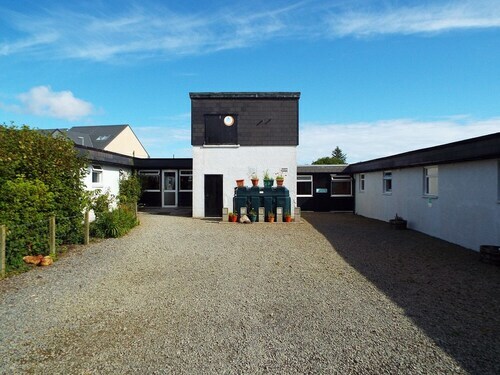 We can help you create a plan to get to your destination now that you've located your ideal Orkney Islands hotel. Our website makes it easy to arrange how you'll get to your hotel by providing lots of options to meet your air transport and hired car needs. You can look for flights by total number of stops, airline, or time of departure to locate one that meets your needs. You may want to contemplate how to get around after you get to Orkney Islands. One option you might consider is having a car for hire ready when you land by checking out our car hire deals. 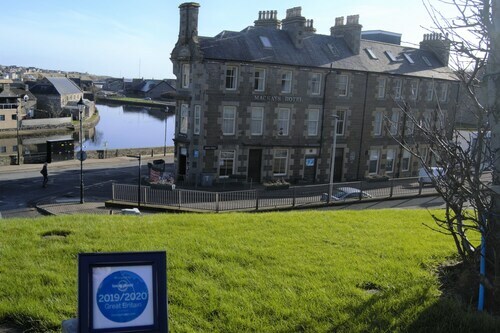 While you're staying in Orkney Islands, you may want to consider spending some time checking out local landmarks and attractions. Hiring a car can make adventuring out practical so you can take advantage of everything Orkney Islands is best known for. ebookers wants to help you plan your dream holiday from start to finish. Now that you've booked your flight, rental car, and hotel, you can focus on what you'd like to do while on holiday. From walking tours to dinner cruises, you can search for Things to Do on our website. Whether you're an adventure-seeker or a history buff, you'll be sure to find a tour that catches your eye when you book with us. Now that you've pinpointed the tours that you're most excited about, you can see other guests' ratings and photos of the excursions. You can also earn rewards and upgrades on travel so you can stretch your budget even further. The last thing left to do is to pack your suitcase and get on the road. Always very pleasant staff. Happy to let me check in before 9 am. Always a plaeasure. I paid £85 for the smallest single room possible. I was in Orkney on business and arrived before check in . There was no flexibility on room access and I changed for my business meeting in a toilet, left my bag in the hotel and checked in afterwards. My bed was awful. Creaky and uncomfortable. The shower was poor. The temperature was either cold or boiling. The soap dispenser was broken. Room facilities were not worth £85. Breakfast was better. The breakfast room was nice, food good and pleasant waitress. Preis/Leistung gut bis top! Dusche eher nicht so toll. Personal sehr freundlich. 4.0 Good B&B, clean and friendly. Very welcoming and friendly manager / staff. 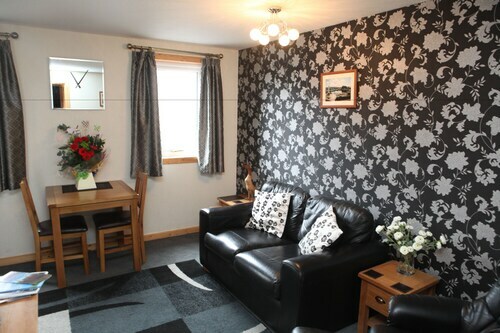 Clean rooms and very comfortable bed and chairs. Shower was poor (luke warm water which could not be adjusted with poor water flow). Breakfast was acceptable (cereal, toast, boiled egg - not full English). Beautiful outlook across to Hoy with small ferry terminal serving Hoy and Flotta close by. Not inconvenienced by ferry, noise or traffic using it. Excellent position for visiting the ‘mainland’ including Kirkwall and Stromness. A car is a must although it is possible to get around by bus. 2.0 Achtung: Appartments sind nicht im Hotel! Aus unserer Buchung "Appartments" ging nicht hervor, dass die Zimmer nicht im Hotel Gebäude sind, sondern ca 500 m entfernt. Das mag im Sommer OK sein, im tiefen Winter ärgerlich. Das Town House wird entsprechend selten genutzt, damit war alles sehr kalt (Heizung erst eingestellt bei Eintreffen der Gäste ...) , z.T klappte auch das Licht nicht. Wenigstens hat sich der Besitzer und sein Team Mühe gegeben und uns mit dem Fahrzeug zum Townhouse gebracht und abgeholt. Unkomlpizierter uEmpfang, flexible nette Bedienung und schöne grosse Zimmer mit Direktzugang vom Pub. 4.0 Gut gelegenes B&B in Ortsnähe. Guter Aufenthaltsraum mit TV und nette B&B-Leute, flexibel und guter Service.